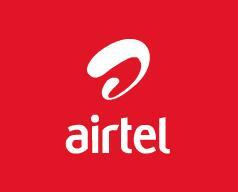 Bharti Airtel, has introduced new Airtel South Asia low cost ISD Roaming rates for its mobile customers in India traveling to Sri Lanka and Bangladesh. Airtel mobile customers can enjoy home call rates as low as Rs.1 to keep in touch with family and friends while visiting Sri Lanka and Bangladesh. So if you are planning a vacation to Sri Lanka or Bangladesh this summer? Your trip just got even more affordable with local outgoing calls in Sri Lanka or Bangladesh just for Rs.1/min hence Call back to India or Incoming calls will be charged for Rs.10/min. India’s largest Mobile Service operator, Bharti Airtel is also a leading global telecommunications company with operations in 20 countries across Asia and Africa including Sri Lanka and Bangladesh. The telecom service providers want Indians to quit India and enjoy their services at reduced rates ! Matrix is not a mobile provider. It has tie up with some mobile providers. Understand this first.